My name is Sheila Ledesma. I am a local Nevada Loan Professional. I have more than 13 years experience in the industry, and value every relationship. My success in this marketplace is due to my elevated level of extensive knowledge, customer service and the genuine desire to help my clients. I believe that each client is unique and that every mortgage is different. I design personalized loan packages that creates a specific loan solution for each of my clients. My goal is to make sure my clients are educated in every step of the loan process and have an enjoyable experience. 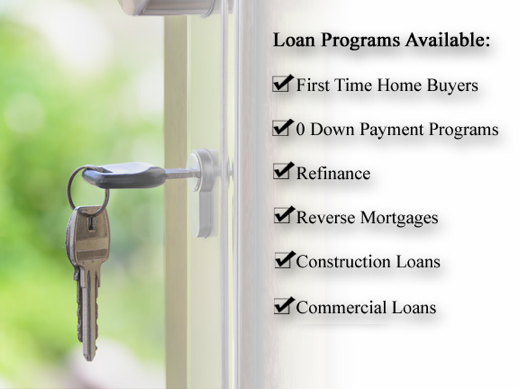 Loan types available are: FHA, VA, Conventional, and Jumbo. Down Payment Assistance Certified, HomePath and HUD knowledgeable. Along with my partners, we offer real estate services for both Buyers and Sellers in all areas of the Las Vegas valley. Please browse through our website for more information about us and our services. We look forward to working with you! "Very, Very Good Job! Sheila was informative along the way and made the process joyful with no problems"- Taeja R.
"Sheila, I appreciated that you went above and beyond and got our credit fixed. Now we are in our home thanks to you. "- Debra F.
"What can we say, other than you listened and got us the loan we were looking for. "- Tara R.
"Your knowledge on government loans allowed us to put less down and save on our monthly payment"- Steve G.
"Sheila you have done an excellent job, and were there every step of the way. "- Chuck S.